The Cavalry has been serving the St. George, UT community for a number of years and, in that time, we have worked extremely hard. Our exceptional team of cleaners provide nothing less than the best and that is how we earned the stellar reputation we have today. Most of our clientele are people who were recommended our services by other satisfied customers. We could not be happier with the positive feedback and rave reviews, which you can see yourself on Yelp and Google. When you hire us for carpet cleaning in St. George, UT, you'll notice how much our passion and dedication shines through in our work. If you're looking for flawless results and outstanding customer care, then you've come to the right place! The Cavalry is a local company that is dedicated to cleaning the carpets, rugs, and upholstery of St. George, UT's homes and businesses. With years of experience in the carpet cleaning industry, we consider ourselves cleaning experts and we pride ourselves on offering the best carpet cleaning services available in St. George, UT. 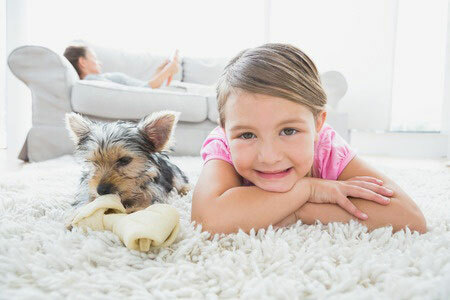 Over the years, we have honed and perfected our carpet cleaning techniques. Our dedication to great customer service means that we don't leave a job until it's done right, and this perfectionism and commitment to our customers' satisfaction has been the source of our success in St. George, UT.